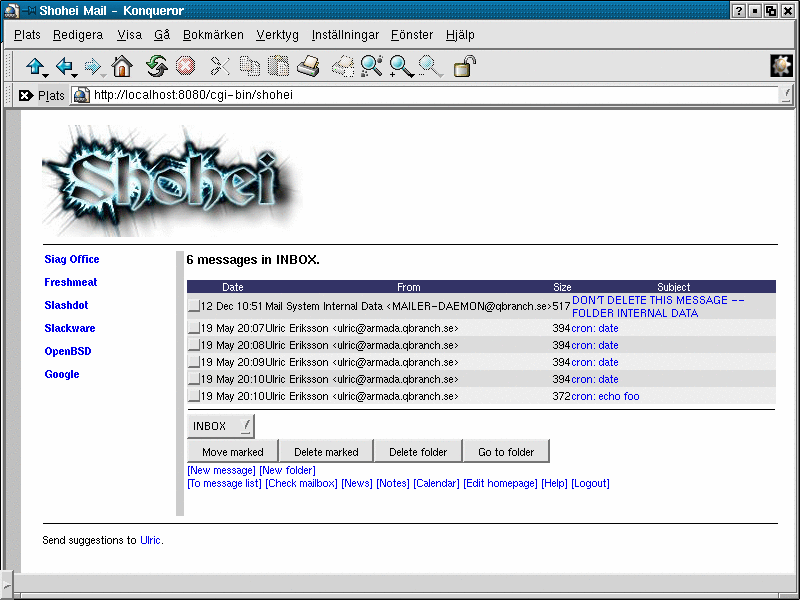 Shohei is a multi-language, multi-function, multi-server, multi-user, multi-context, multi-media web-based mail client, news client, calendar and note server. Must support the Mercury pop server running on NetWare 4 and 5. No multiple separate user databases. No local users on the Shohei host. Of these, the real showstopper is the NetWare support. Mercury maps DNS domains to NDS contexts in such a way that a single mail domain can handle users in several contexts. A single Mercury server can also handle multiple mail domains. 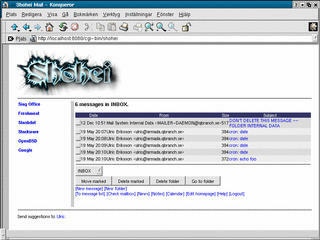 Shohei takes advantage of this, and can handle multiple Mercury mail servers, each with one or more mail domains handling one or more contexts. Of course, Mercury is no requirement. Any pop3 server will do. For a basic setup, the only manual configuration necessary will be the creation of one directory. #!/bin/sh echo "Content-type: text/html" echo echo ""